Inspired: An Improv Blog Impride Workshop! 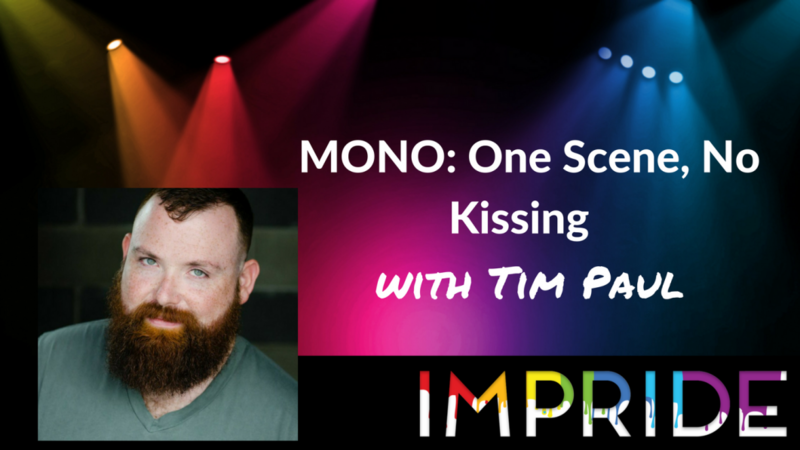 MONO: One Scene, No Kissing with Tim Paul! Impride Workshop! MONO: One Scene, No Kissing with Tim Paul! Is there anything scarier than stepping on stage with NOTHING and making SOMETHING? What if … you couldn’t edit? But that’s what a monoscene is all about! And Tim Paul will guide you through the fear to create an interesting set without relying on edits to save you. In Tim’s workshop, “MONO: One Scene, No Kissing,” you will explore the monoscene, where you have to finish what you started – NO EDITS! A perfect introduction to anyone new to this structure, we will work together on setting and sustaining scenes and building out a universe for these characters to exist in, all in real time. A great scenic workout for anyone looking to truly invest in their scenes with no safety net. Intermediate/Advanced Improvisers. Eager to improve your monoscenes? Register now for Tim’s workshop! It takes place on Saturday, July 7th at 1:30pm.